Fascia are the boards that hang down along the edge of your roof. Sometimes, these are treated wood boards that have been painted, but most of the time, they are vinyl coverings that go over the boards to protect them from water damage such as mold and rot. Soffits cover the area under the roof overhang. These can be vinyl or wood coverings that close the space between the eave and the wall of the home, which leads into the attic. 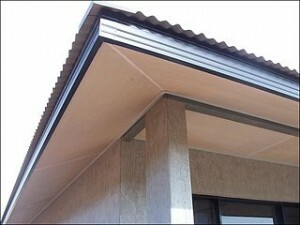 The soffits can be vented with holes, or they can be solid. Fascias and soffits help to create a more finished look for your home, which improves its overall appearance. You won’t see unfinished wood beams or open holes around your roof. Because fascias and soffits help to prevent the spread of mold and other damage, they also ensure that your roof and the walls of your home maintain a clean and unblemished look. Big patches of black mold and rotting wood is not a look you want for your home. Finally, fascias and soffits come in a variety of styles, so they allow you to create a look you want for your home. For example, you can choose fascias and soffits that come in a wood-grain finish, helping you to create a more classic look for your home. Roof damage can significantly impact the value of your home. Fascias and soffits help to protect the value of your home by protecting your roof and preventing damage from spreading to other parts of your home. Potential buyers prefer homes with fascias and soffits because they know the protective value these features offer. Exactly how much you will pay for new fascias and soffits depends on the type and style of materials you choose and the size and layout of your home. However, you can plan for about £20 to £30 per foot for soffit and about £15 to £25 per foot for fascia. Those costs include installation. 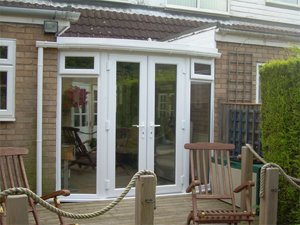 Source: Harvey’s Windows Soffits & Fascias. Hire a professional roofer who has a proven reputation in your community to install new fascias and soffits. By working with a professional, you ensure that the job will be done right to offer the protection your home needs. You will also have recourse if any problems are discovered with the work later, offering some peace of mind.